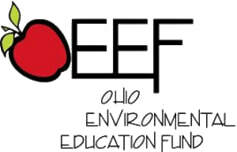 The Ohio Environmental Education Fund provides publications and resources for environmental educators and teachers; workshops on water quality monitoring methods and grant writing; and statewide coordination of the Project WET (Water Education for Teachers) and Healthy Water, Healthy People curricula for elementary, middle and high schools. They currently partnering with the Ohio State University School of Environment and Natural Resources and the Environmental Education Council of Ohio to support a statewide network of 500 Environmental Career Ambassadors to introduce Ohio Students to careers in environmental science and engineering. Established more than 25 years ago, the Columbus Zoo Fund for Conservation has helped hundreds of dedicated wildlife heroes across the globe protect threatened and endangered animals and their critical habitats. Each year the Zoo awards 70 grants to projects in 30 countries. By providing grants to local conservation leaders, the Zoo puts its money to work on the ground to advance conservation research, build capacity among local populations, strengthen environmental education, promote community involvement, and foster behavior change that benefits animals and people.